The trucking industry is in for a futuristic shakeup in the coming decades – at least if Daimler Trucks has anything to say about it. On July 3rd, 2014, the truck manufacturer demonstrated its new Mercedes-Benz Future Truck 2025, a fully-autonomous freight truck that can reach speeds of up to 52.8 MPH and can drive itself in all weather conditions. During its demonstration, the Future Truck 2025 did contain a driver, but he was not using any of the controls. It’s unclear as of now whether the trucks will continue to need human “drivers” in the cab by the expected rollout date of the year 2025 as liability issues are still being considered. In addition, navigation systems are still being perfected, so the possibility does exist that truly self-driving trucks will not be possible based on the technology. One thing is for sure though – you better be ready when the robot invasion begins. How do you feel about self-driving trucks? Do you think autonomous trucks are going to help or hurt drivers? Can technology actually turn this concept into a reality? Chuck Melton is a pioneer in the transportation technology field. 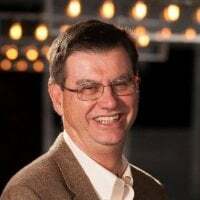 Founder of one of the early PC-Based trucking software companies - Integrated Transportation Software in 1984, he developed one of the first links to satellite based on-board systems including Qualcomm's (at the time) OmniTracs system. He sold the assets to Qualcomm and has managed a successful software company for over 30 years serving trucking companies across the nation.